My husband and I are navigating the waters of the newly retired. When we moved to Dayton nine years ago I gave up my day job of thirty years and began working exclusively from home. A big switch for sure. This past fall my husband’s job transitioned, and he started a new venture and is now working remotely. Those of you of a certain age will detect the lightly veiled panic in my voice. We now both inhabit our home 24/7. I adore my husband. He is a kind, loving, brilliant man. But he’s new to his full-time home surroundings. He’s also having difficulty transitioning from all the support staff he had grown accustomed to at his former office. For some reason he’s confused his wife with his IT manager and executive assistant. He often wanders in with pressing requests (for him) not so pressing (for me). He used to leave the house at 7:45am and return home at 6:30pm. He had his routine, and I had mine. We sat down every night in the dining room and eagerly shared our days over dinner. Now we wake up together, have breakfast together, check our emails over coffee together, work on projects very close together, and then there’s lunch. I’m reminded of a wonderful needlepoint pillow stitched with “I married you for life, not for lunch”. Well I have now obviously done both, and I am determined to turn this ship around. First, I think I need to get clear about what meals I will be providing and which I won’t, and do a better job communicating that properly. It’s kind of sad seeing my 6’4” husband perched on a kitchen stool looking befuddled as to whether someone is going to be bring him a soft-boiled egg, buttered toast, glass of fresh squeezed orange juice and a little ramekin of his morning pills OR if he should take a bowl out of the cupboard and pour himself some grape nut flakes. As for lunch I need to think back to when my girls were little, and I had to plan out our weekly menus. I still enjoy spontaneously coming up with last meal of the day. And with a little forethought I can whip up a tasty breakfast from what’s in the frig. But if you don’t have lunch items on hand and you have to go to the grocery store to get them it can literally eat up your entire morning. 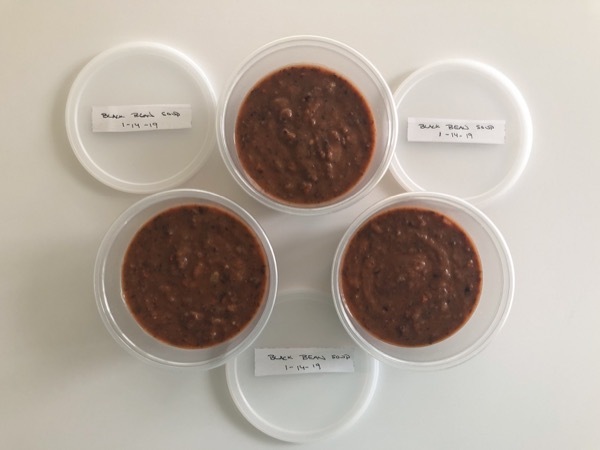 So, I put on my thinking cap and came up with a soup-er idea. I would make big batches of soup and freeze them into two-person portions. That way while the soup was warming, I could make a little sandwich to round out the midday meal. 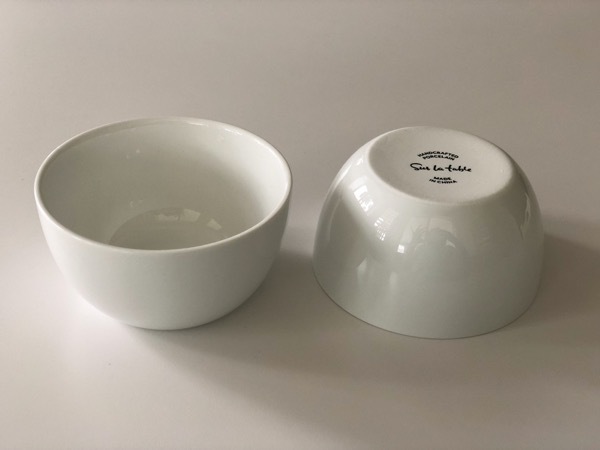 For Christmas I gave my husband these wonderful rice bowls from Sur La Table. 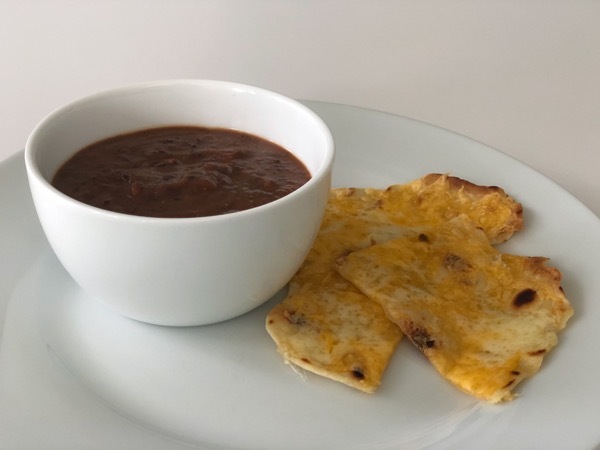 They hold eight ounces of soup and rest perfectly on a dinner plate leaving plenty of room for an accompanying sandwich or salad. 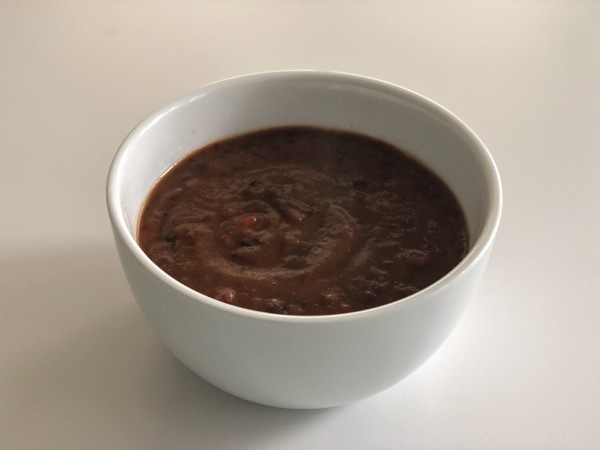 This hearty black bean soup is an all-time favorite. Served up with wedges of open-faced quesadilla. 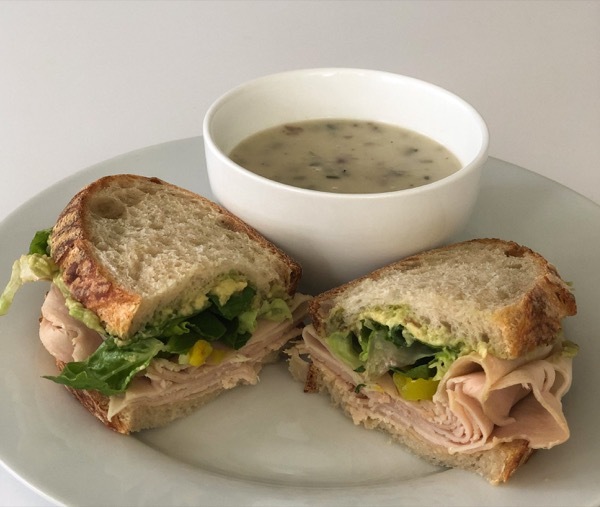 Potato leek bisque is delicious next to a roasted turkey sandwich. 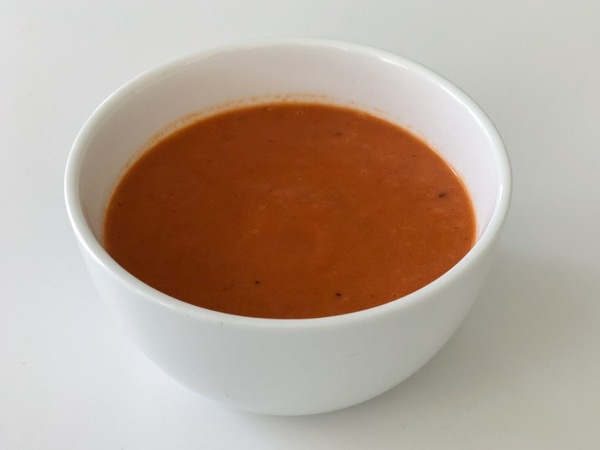 Homemade cream of tomato soup is a cinch to make. Once you try it you will never go back to the can. 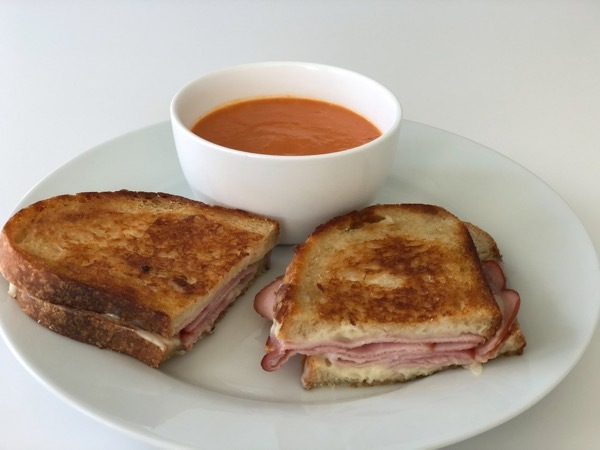 And is there anything more perfect than a grilled ham and cheese with a side of tomato soup? 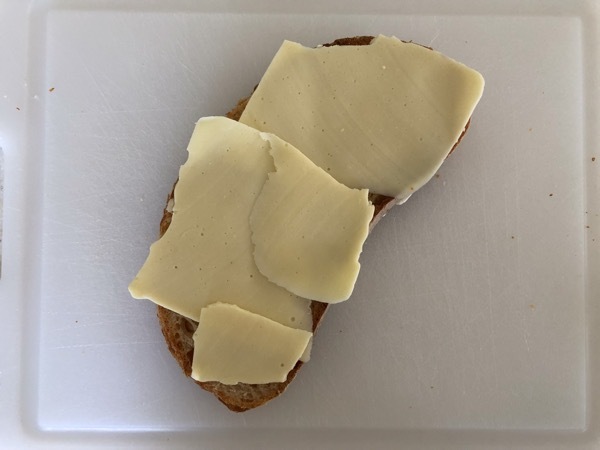 Here’s a grilled cheese secret- don’t butter your bread before you toast, instead spread the outer side of each slice with a very thin layer of mayonnaise. It crisps up like a dream, yielding savory depth to the crunch. 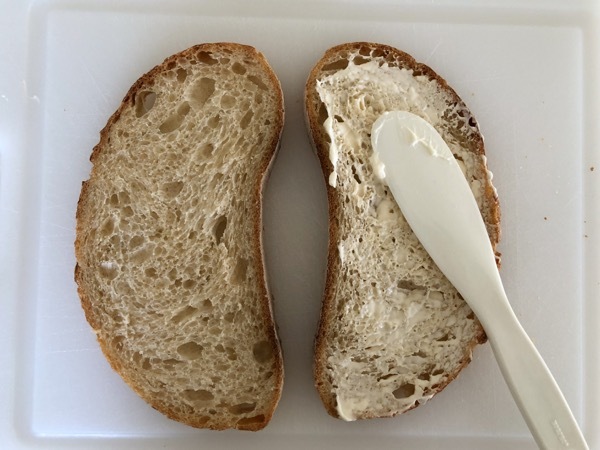 Top crusty sliced bread with thin slices of your favorite cheese. 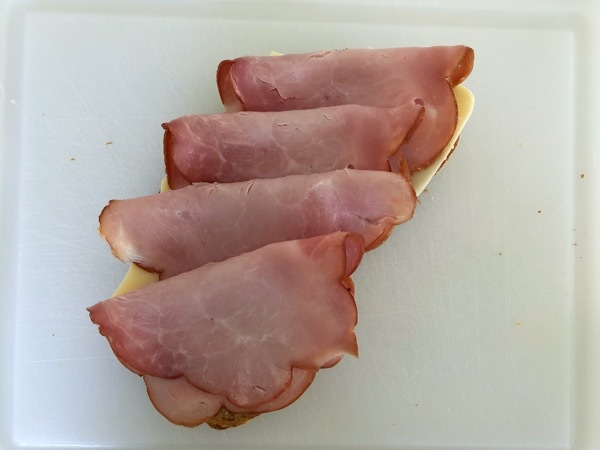 Then a thin layer of ham. Add a smear of mustard if you like. 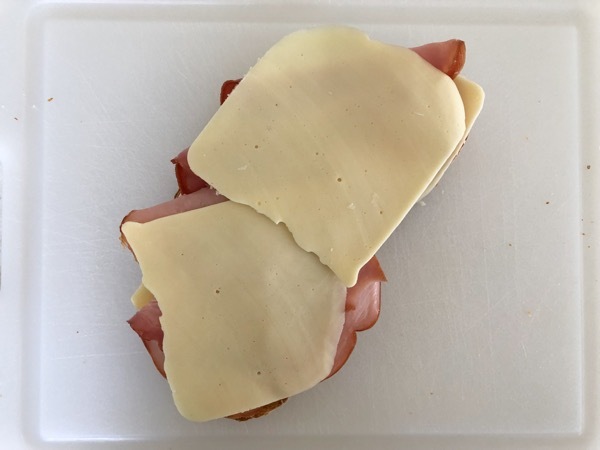 Another layer of thinly sliced cheese. 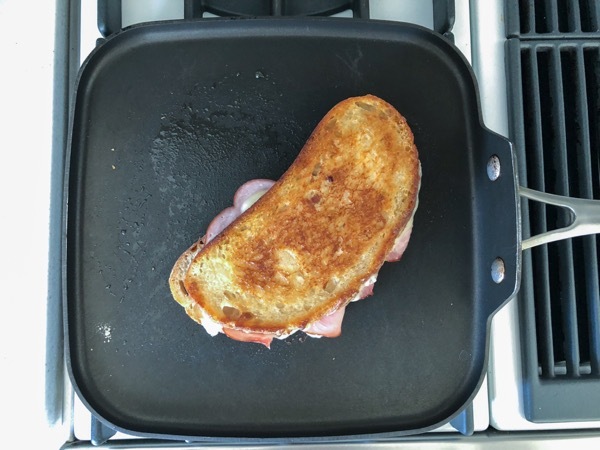 Place on a medium-hot griddle or skillet. 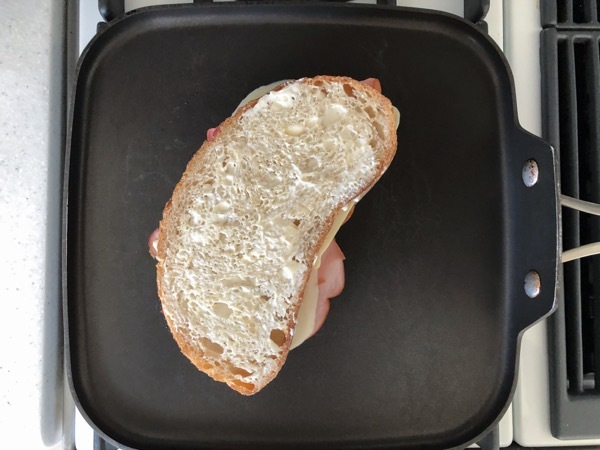 Weigh down with a pan lid. Grill unit crisp and golden. Flip to the other side and grill weighted down. 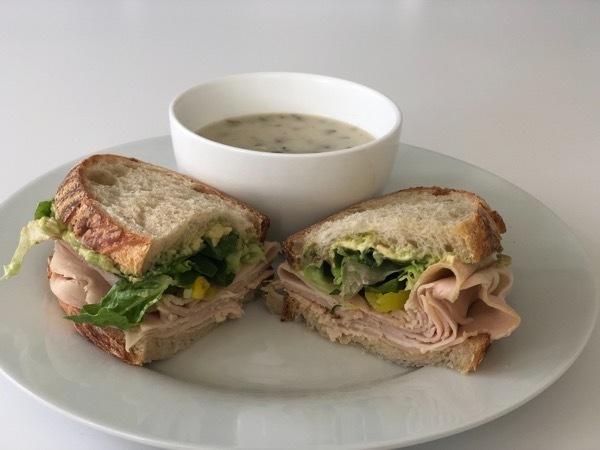 A cup of homemade soup and a sandwich- the perfect pair. Kind of like me and my husband. Together, forever, lunch and all.